can properly leverage this innovative technology to its maximum value. Without further ado, here are 5 Common Misconceptions about Cloud Computing you should clear up right away. One thing cloud computing is known for is its flexibility to accommodate different business needs. However, instead of thinking of all cloud services as "one thing" or the "ultimate panacea" that solves all your business problems, think of it as a tool that needs to be implemented and improvised, based on the types of services it offers and the types of services you need. The fact that cloud computing can be deployed on public, private and hybrid models is another reason why businesses should explore various cloud strategies before jumping on the train to the clouds. While virtualization is the process of taking a given task into the cloud, virtualization alone does not lead to cloud computing. Whereas virtualization helps you to focus on server and workload consolidation, cloud computing involves the complex integration of various data and other day-to-day automation processes. For cloud computing to work out successfully for your business, you need a reliable automated management infrastructure that can effectively adjust to your business tasks, sizes and transactions. Like all the tools you use to run your business, cloud computing is not an either-or. Although cloud-based information technology services enable workers to access valuable information 24/7 from around the globe, not all applications and systems are compatible with every software vendor you use. Another drawback is that many niche cloud providers require customers to be locked in a long-term contract with them. If you change your mind before the term expires, you can be painfully penalized with an early termination fee. So before you sign a contract, read the fine print and seek opinions from professional cloud integrators. While cloud computing has the potential to enhance business productivity, the improvement is not automatic. Effectively managing and training your employees to properly use this new tool is key to better collaboration. As Forbes point out, "A cloud strategy begins by identifying business goals and mapping potential benefits of the cloud to them, while mitigating the potential drawbacks." Using cloud services streamlines communication among employees. However, you need to provide the support and additional applications to both motivate and guide your employees to make that transition. Using the cloud does not automatically reduce your IT costs right away. Although switching to cloud gives you the flexibility to adjust your budget, you might need additional investment to train your staff to become well-versed in various cloud technologies. If training is not an option for your company, you might have to outsource your IT needs and hire a third party to manage the cloud. When adopting cloud-based solutions, keep cost reduction in mind but do not make it the ultimate end. After all, some of the biggest benefits of cloud computing include agility and adaptability to evolving business needs, better collaboration and much, much more. 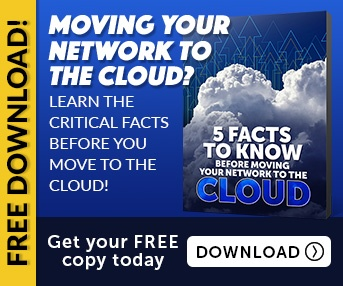 Understand the true benefits behind cloud computing so you can boost your productivity and find creative ways to lower costs.